Hourglass a.k.a. 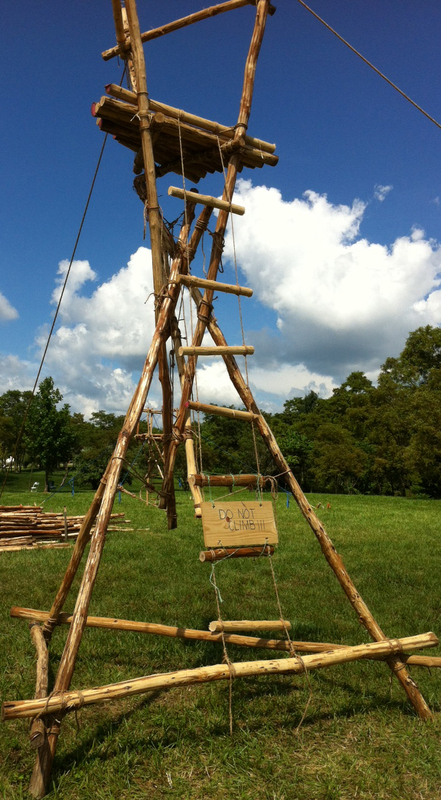 Pyramid Tower, erected next to the Camp Gadget / Skills Instruction area. The Hourglass Tower in the 2013 National Jamboree Pioneering Area was set up as one of four tower displays. As an interesting side note: by employing rope tackles in each of the lines marrying the two tripods, effectively tightening the connections was very easy to accomplish.